Great news: Leiden University Library owns two letters from the most authoritative 18th-century English grammarian, Robert Lowth (1710-1787). They were identified accidentally by Myrte Wouterse, BA English and Honours Academy student at the University of Leiden. Myrte is working on a presentation on the letters for the third year BA course “Introduction to Late Modern English”, taught by Ingrid Tieken-Boon van Ostade. The paper is due next week: after that, she will be able to report more on the context of the letters as well as on their contents. The discovery of the letters came as a complete surprise to Ingrid Tieken-Boon van Ostade, author of The Bishop’s Grammar, Robert Lowth and the Rise of Prescriptivism (OUP, 2011): she had been collecting letters by Lowth for years without knowing some of them were so close by. They plan to write an article on the letters and what they mean for current research on Lowth but primarily on H.A. Schultens in the near future. 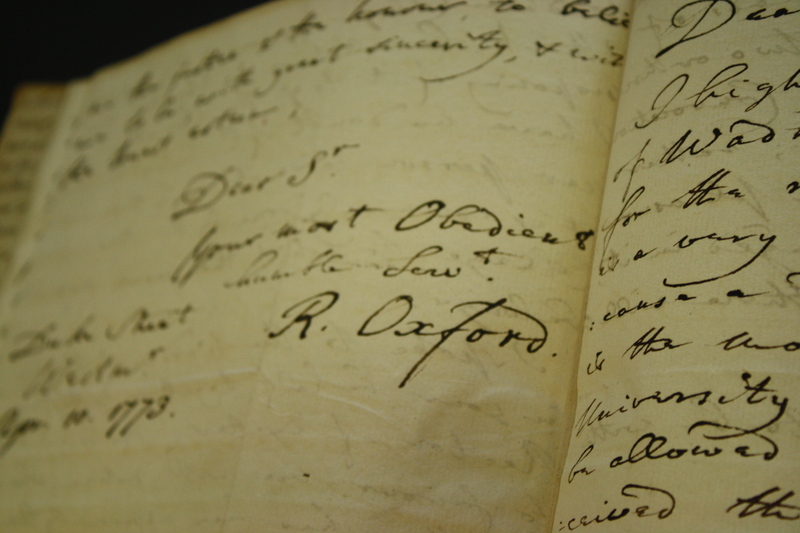 Schultens’ diary from the period of his stay in Oxford has been published online. This entry was posted in 18th-century letters, news and tagged H.A. Schultens, Robert Lowth, University of Leiden. Bookmark the permalink.